Combining thoughtful design, powerful performance and user-friendly functionality, Kohler Co. launches the Veil wall-hung dual-flush toilet – the first residential wall-hung model offered by Kohler in North America. "Wall-hung toilets are very popular solutions for modern bathrooms," says Brian Hedlund, Kohler senior product manager for toilets and bidets. "And Veil offers the added bonus of being a space and water-saver." The Veil toilet features a concealed tank and minimal footprint, saving up to twelve inches of bathroom space compared to Kohler's longest floor models. Additionally, as it is a wall-mounted toilet, the frame brackets are installed behind the wall and the bowl is set at a custom height. Its dual-flush technology, 1.6 and 0.8 gallons per flush, is actuated by a user-friendly wall-mounted actuator plate, which can be removed for easy access to the inner tank components. The tank and the mounting bolts, as well as the water shut off valve and electrical lines of the optional bidet seat, are completely concealed. This gives Veil a seamless look and makes for easy cleaning. 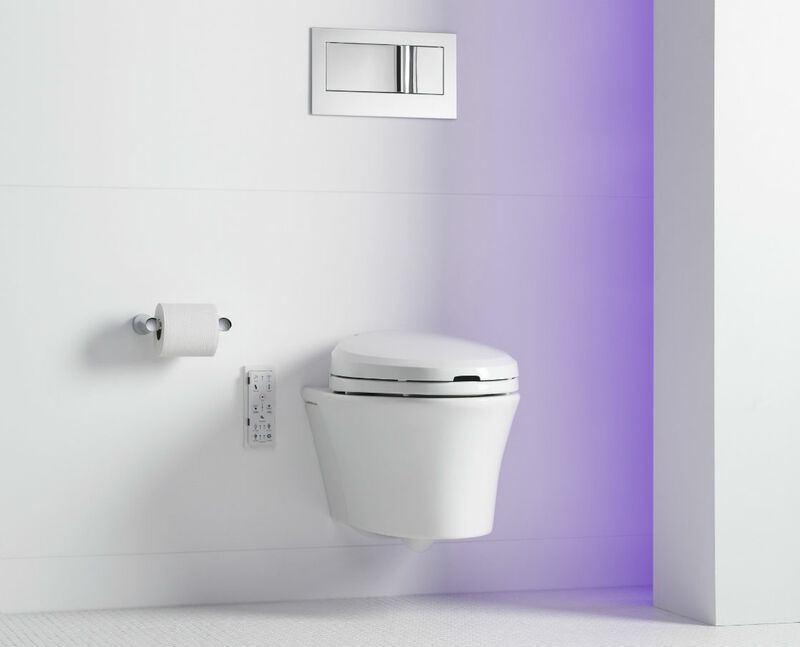 This high-efficiency toilet is WaterSense-labeled and ADA-compliant. Installation height follows guidelines, making it a great choice for inclusion in a large variety of projects, both residential and commercial. The Veil dual-flush actuator plate is offered in a variety of Kohler finishes and the toilet bowl in an assortment of Kohler colours to blend seamlessly with any bathroom decor. Founded in 1873 and headquartered in Kohler, Wisconsin, Kohler Co. is one of America's oldest and largest privately held companies comprised of more than 30,000 associates. With more than 50 manufacturing locations worldwide, Kohler is a global leader in the manufacture of kitchen and bath products, engines and power systems, premier furniture, cabinetry and tile, and owner/operator of two of the world's finest five-star hospitality and golf resort destinations in Kohler, and St Andrews, Scotland.